The mailman just dropped this off in our inbox. It's an invitation to a Square Enix event next week, a Q&A with Final Fantasy brand director Shinji Hashimoto. 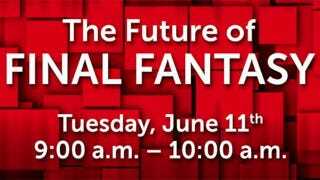 Could be fluffy wish-wash. Or, given the timing, it could be a chance for us to find out just what the hell happened to Final Fantasy Versus XIII. Or, as some are starting to speculate it's now called, Final Fantasy XV.